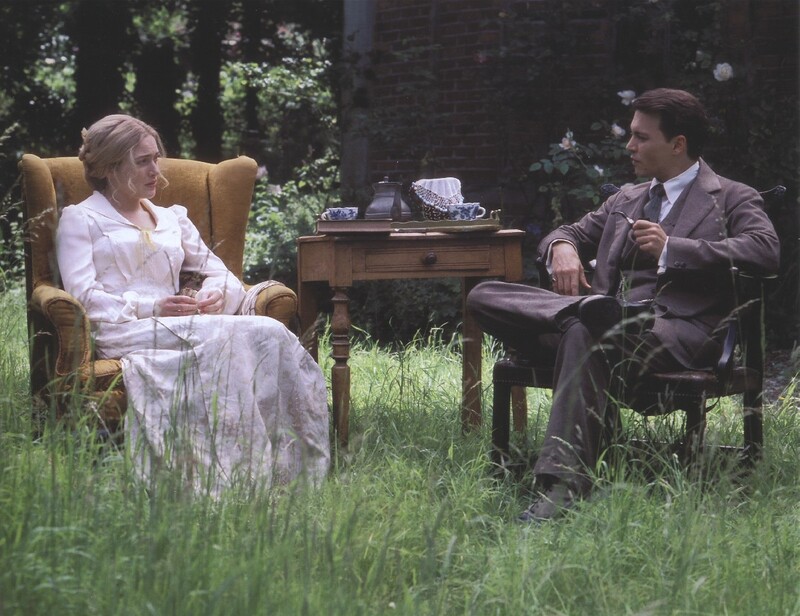 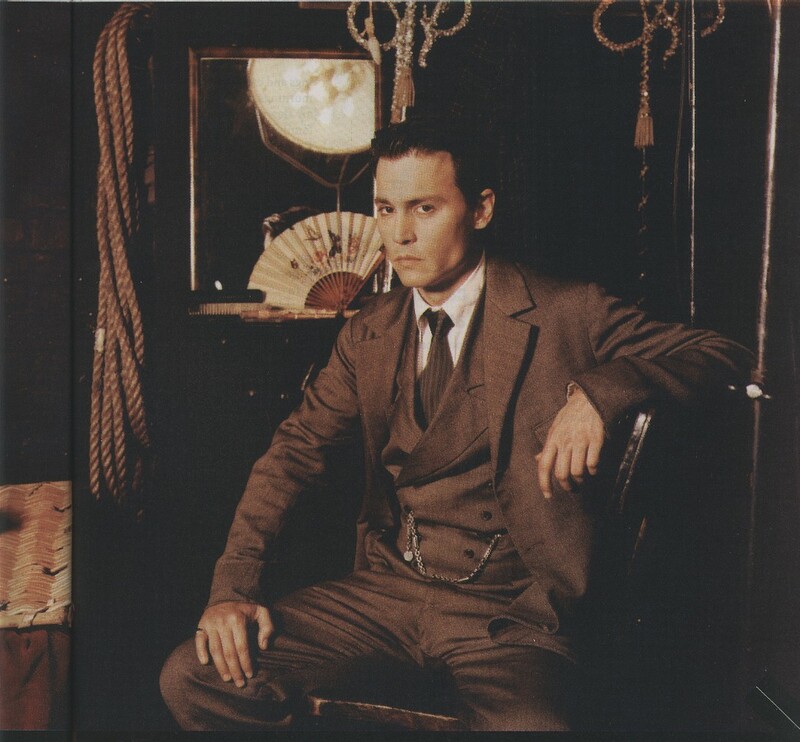 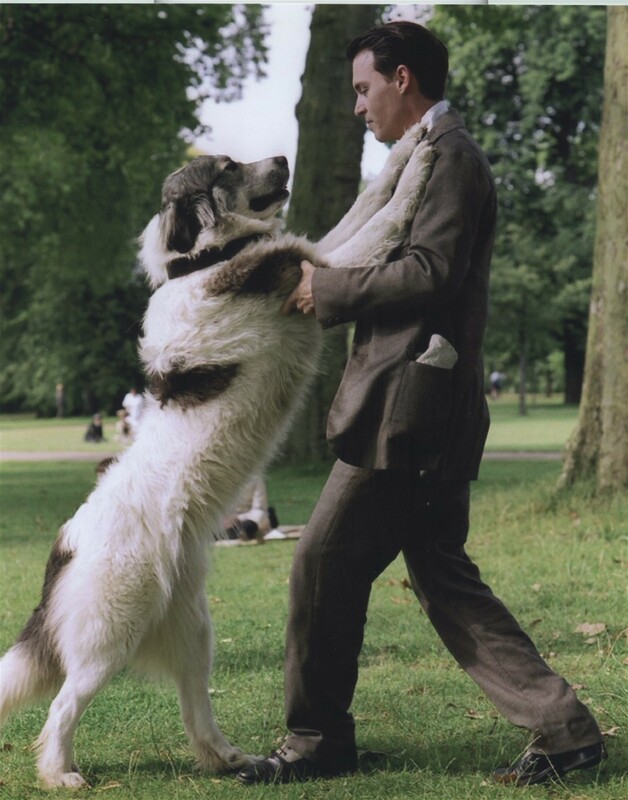 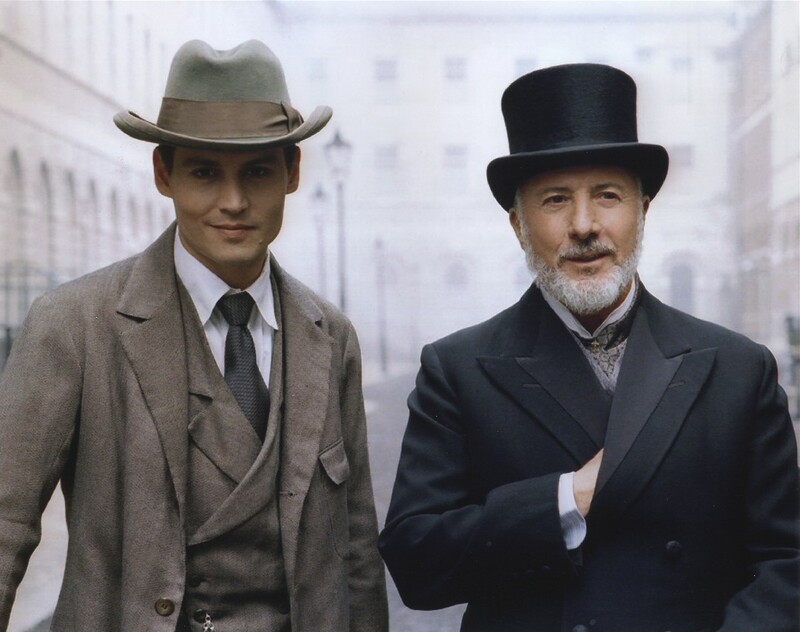 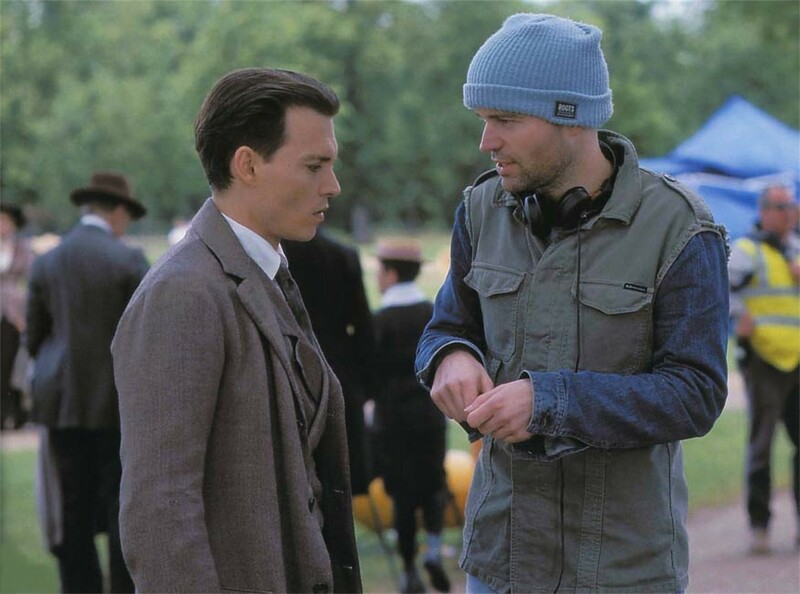 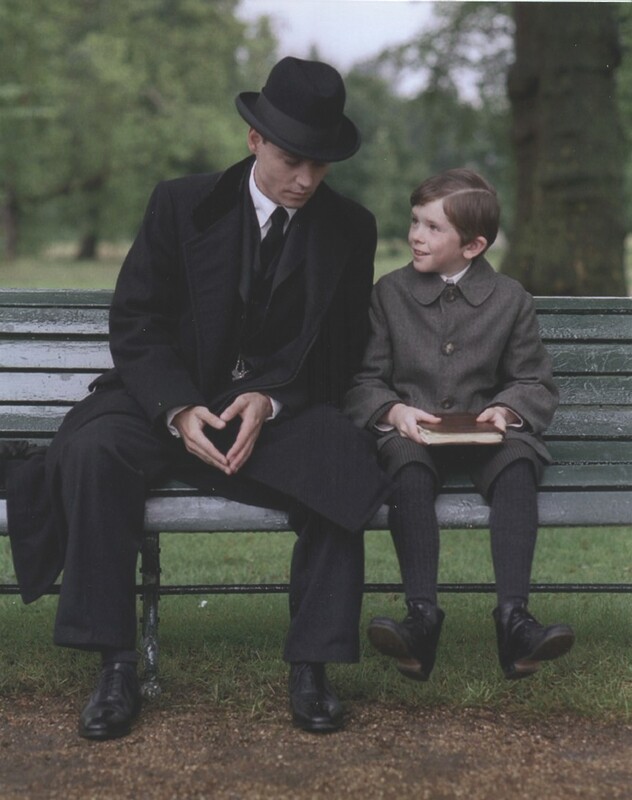 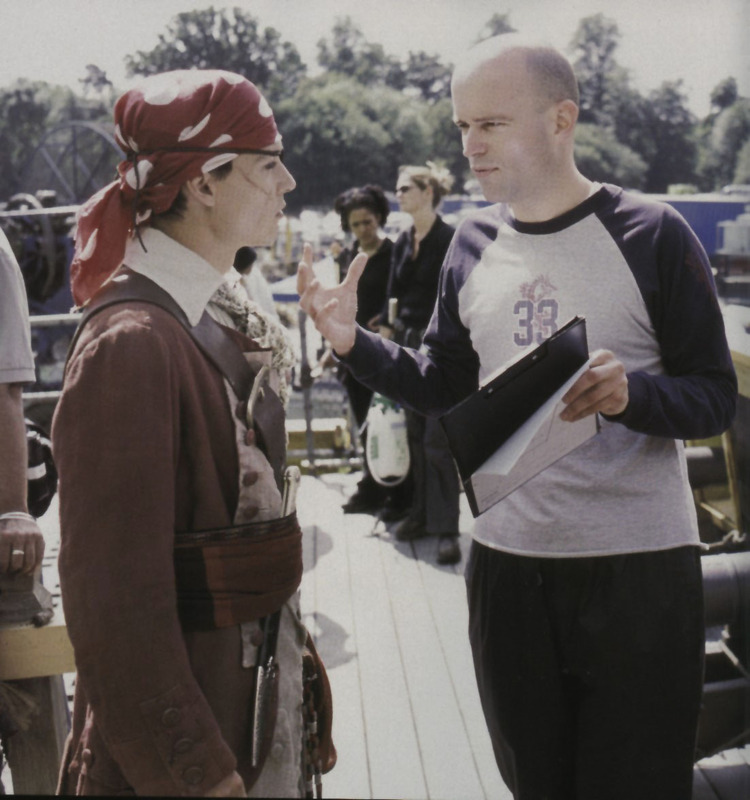 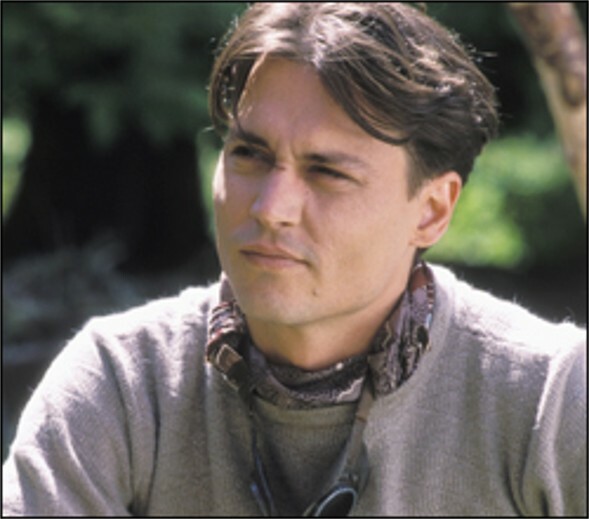 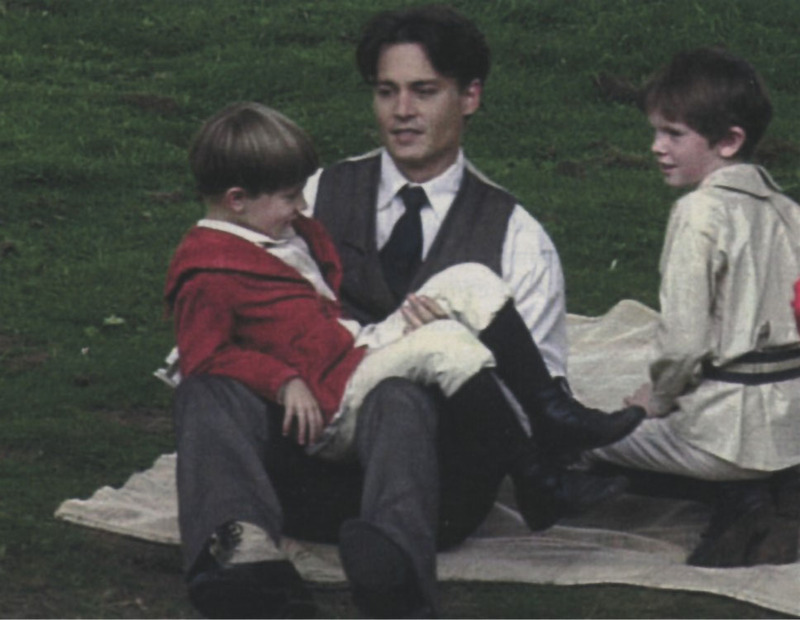 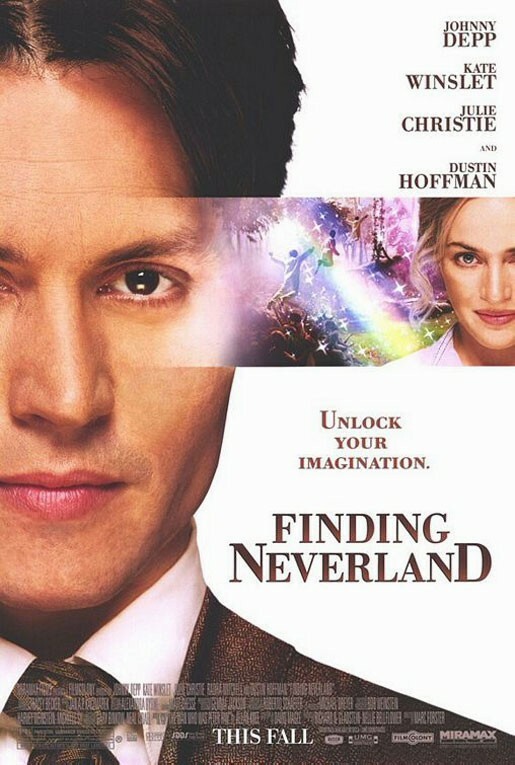 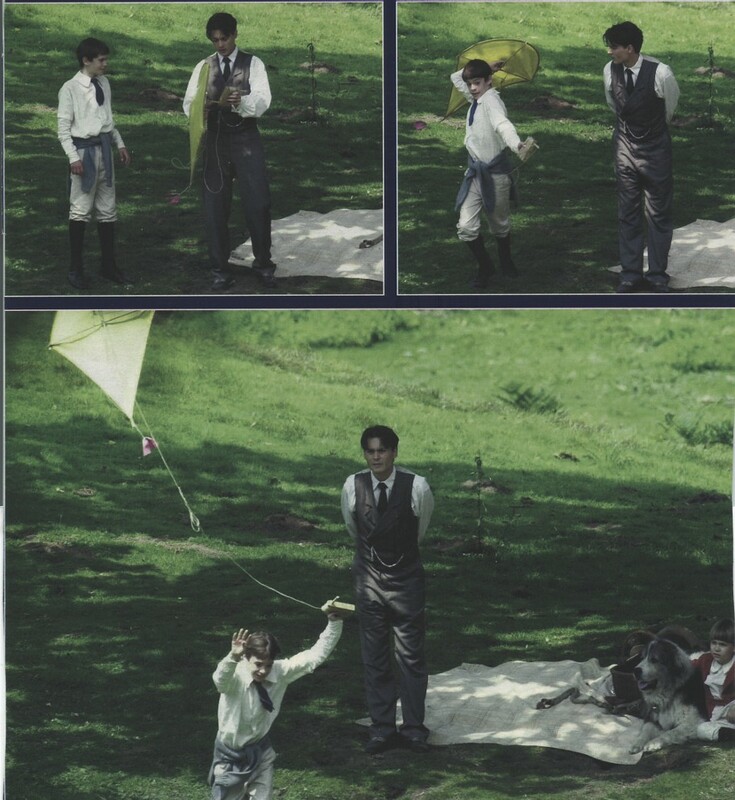 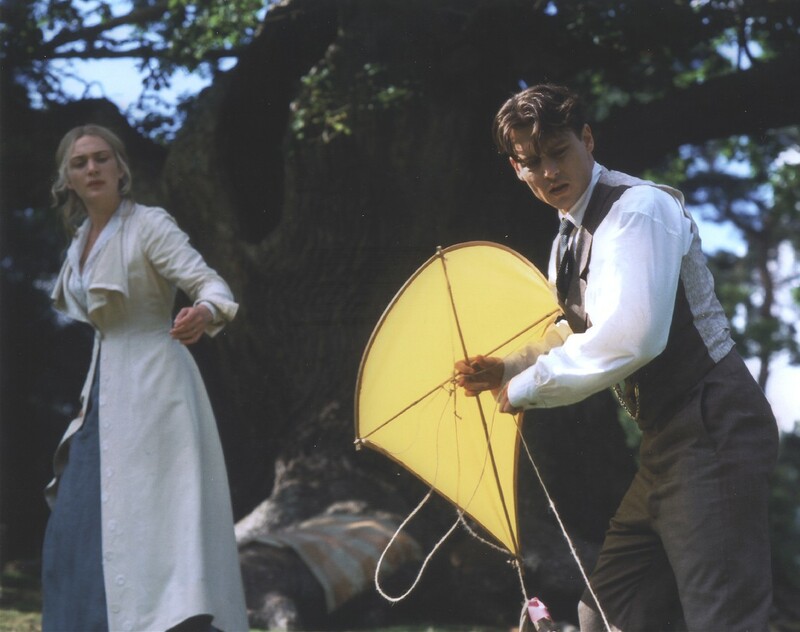 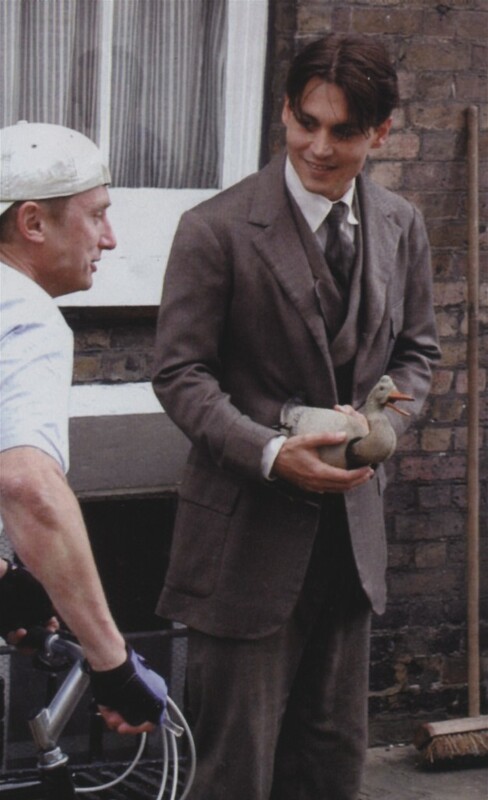 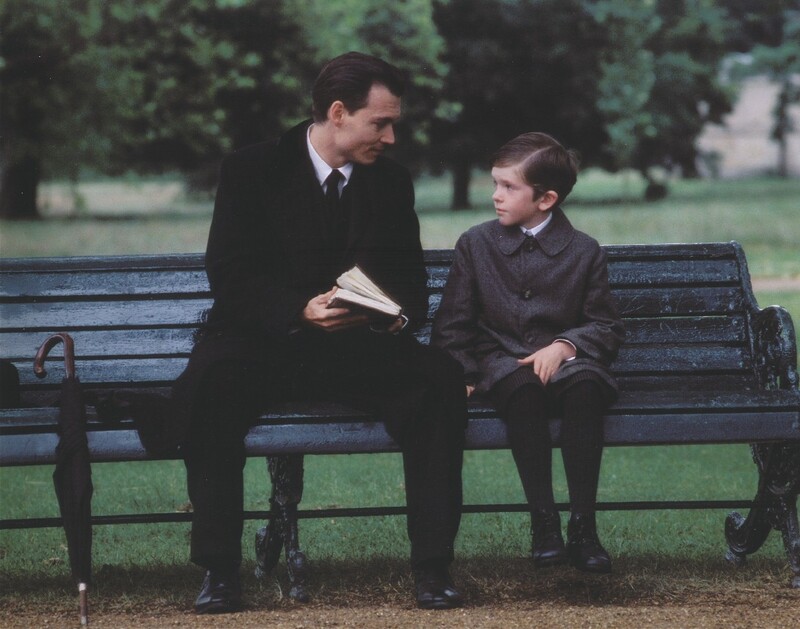 In Marc Forsters FINDING NEVERLAND, released in the autumn of 2004, Johnny Depp plays another lost soul, Scottish playwright J. M. Barrie. 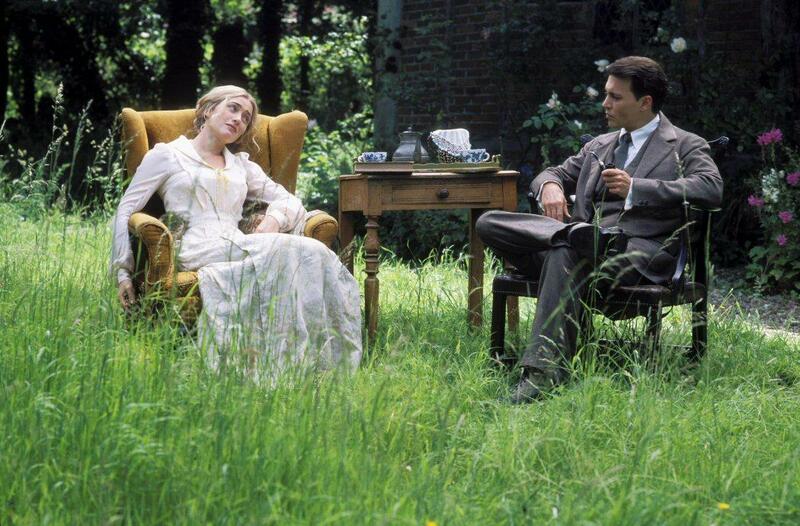 Although he has the trappings of success, Barrie is restless, lonely, and stifled by his upper-class Edwardian world. 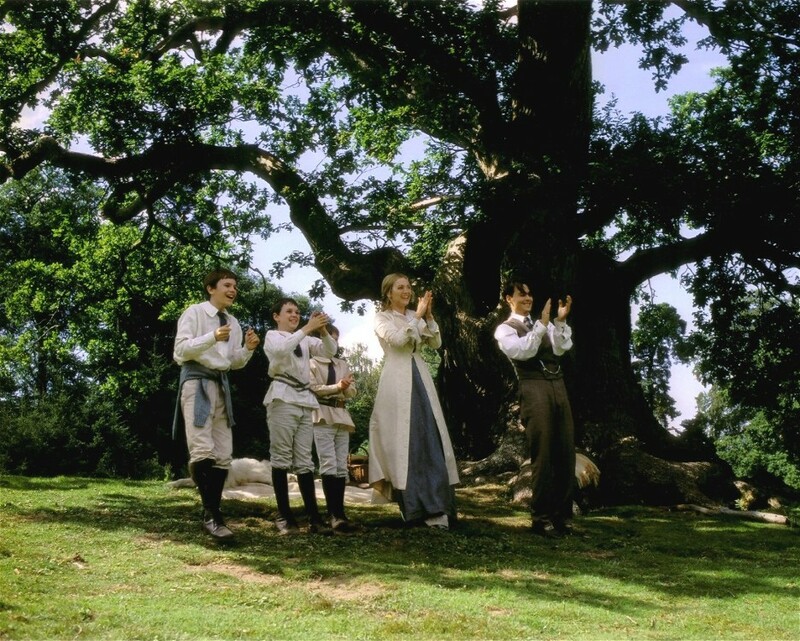 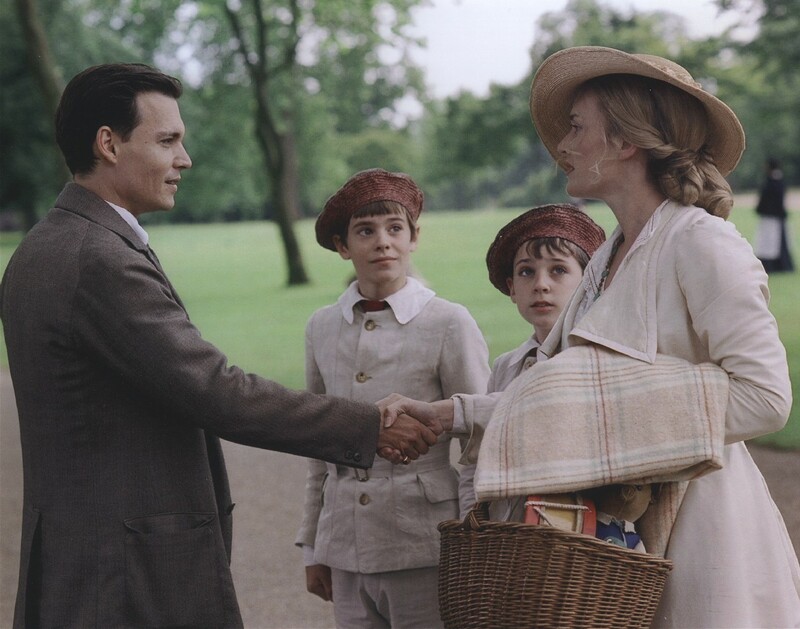 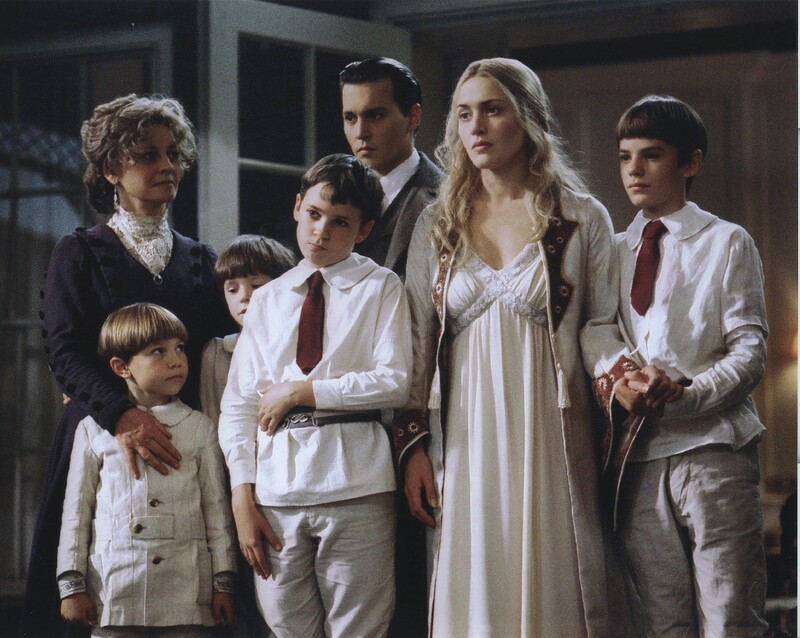 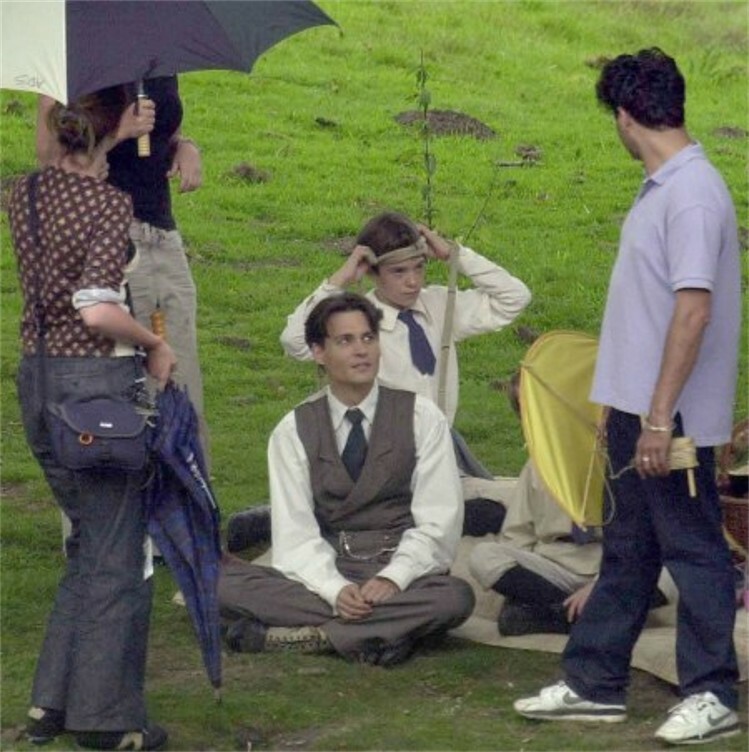 Barries life changes, however, when he meets a radiant young widow in need of consolation, Sylvia Llewelyn Davies (played by Kate Winslet), and her four young sons. 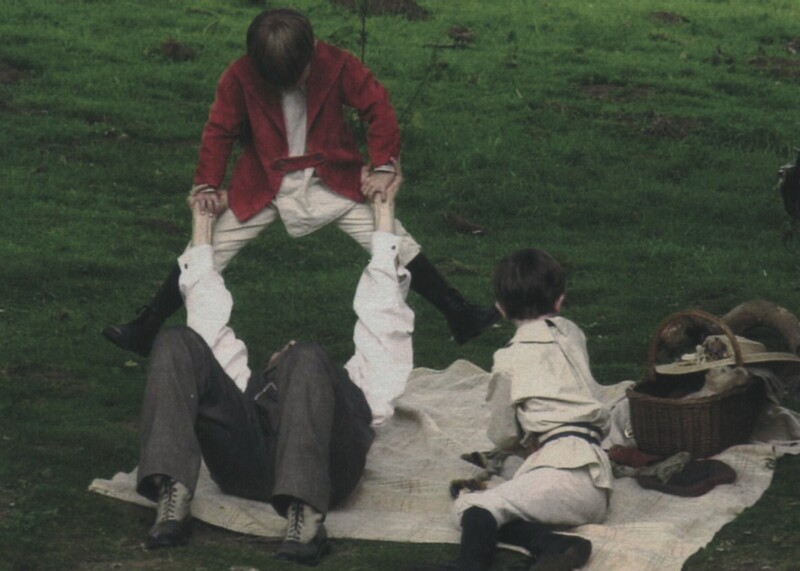 As Barrie discovers his latent talent for fatherhood, he re-energizes his creativity and writes his greatest work, PETER PAN. 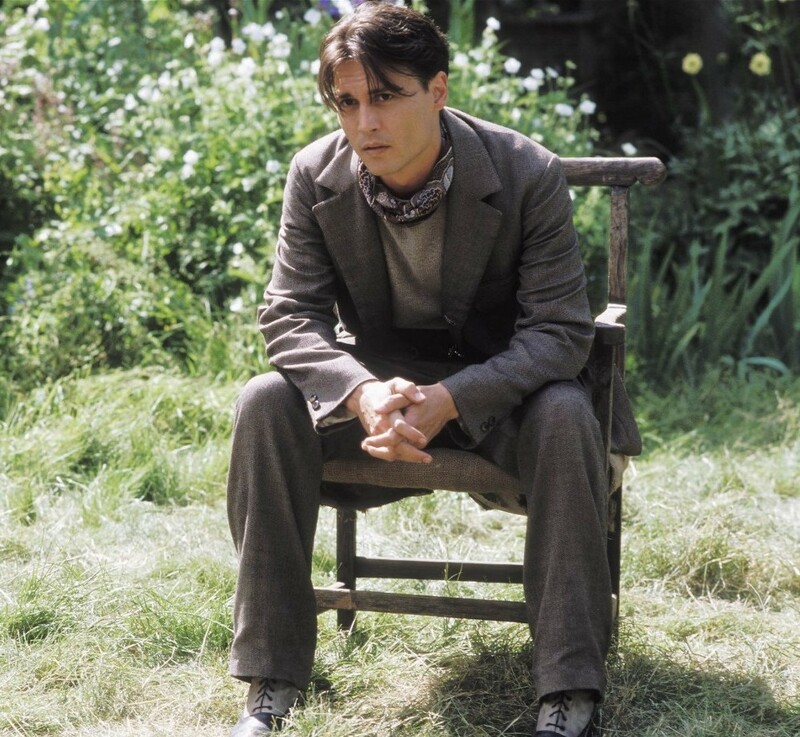 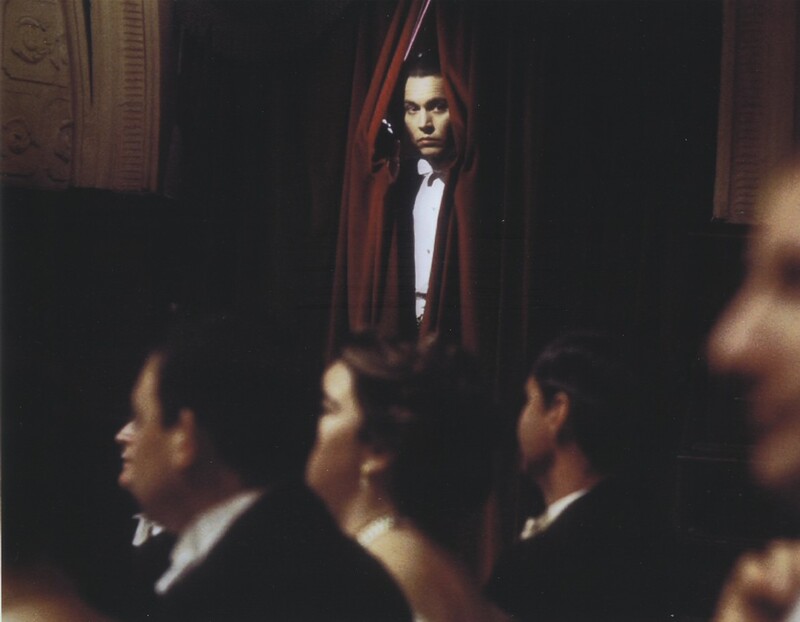 Johnnys performance as Barrie, crafted from hushed words and aborted gestures, is a model of restraint, tenderness, and patience; nevertheless, his eyes, by turns hopeful or heartbroken, testify to the stubborn persistence of love. 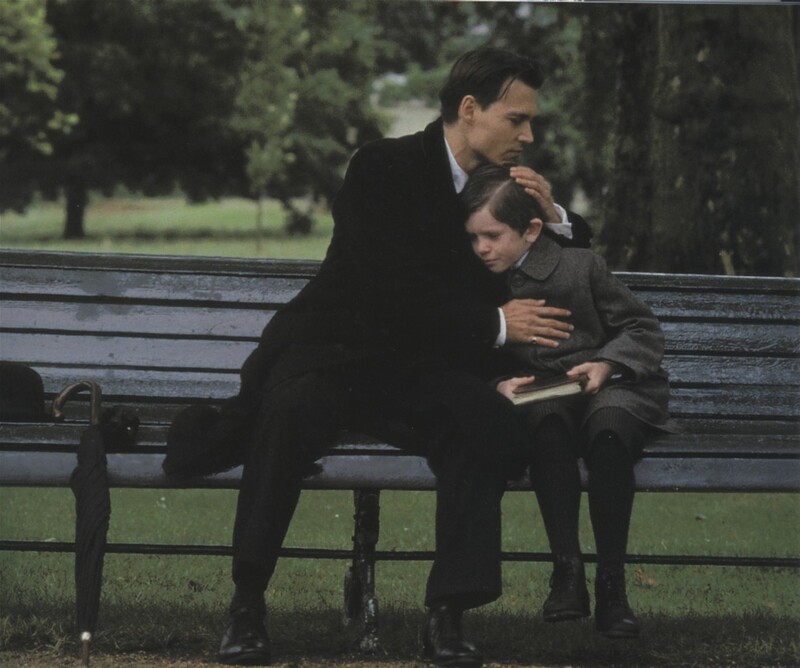 The Zone thanks its loyal Paypal donors; your generosity made it possible for us to purchase many of these photos, and we happily dedicate the FINDING NEVERLAND gallery to you.